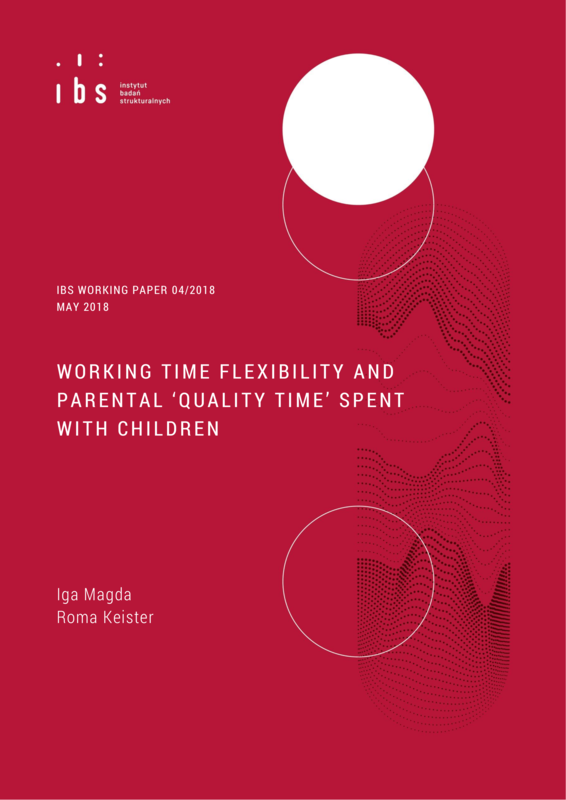 The aim of our paper is to analyse the relationship between working time flexibility and parental time devoted to children. 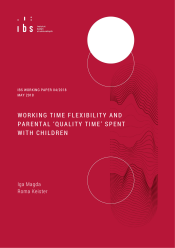 Using data from a large panel survey of Polish households carried out in 2013 and 2014 (Determinants of Educational Decisions Household Panel Survey, UDE) we investigate whether and how various dimensions of working time flexibility affect the amount of time parents spend with their children reading, playing or teaching them new things. We account for employment status of parents, their socio-economic status and social and cultural norms they share. Our results show that employment status of parents and their working time arrangements are not statistically significant for the amount of parental ‘quality time’ devoted to children. We show that these are parental human and cultural capital and their values that are primary factors determining the amount of parental time investments. additional information: We thank the participants of the PAA2017 conference in Chicago and 2017 WIEM conference in Warsaw for their insightful comments. This paper uses Determinants of Educational Decisions Household Panel Survey data conducted by the Educational Research Institute within the project Research on the quality and effectiveness of education and institutionalization of research facilities co-financed by the European Social Fund under the Human Capital Operational Programme. The usual disclaimers apply. All errors are ours.